"Taking all circumstances in account, it is very difficult to accept your contention that there is no conflict of interest. 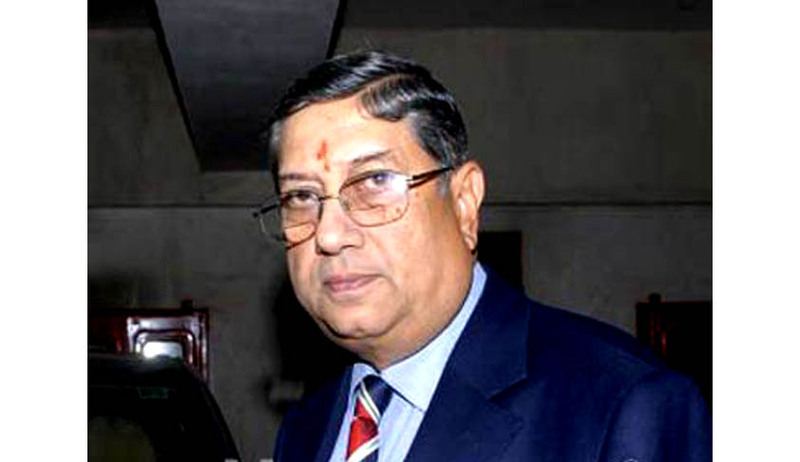 You being MD of India Cements, India Cements owning CSK, an official of CSK involved in betting and you heading the BCCI," said the Supreme Court. The Bench comprising of Justice TS Thakur and Justice Kalifulla told the same to Senior Advocate Kapil Sibbal who was appearing for Srinivasan in the matter. However, Mr. Sibbal submitted that conflict of interest is something that happens across sports and is present in Hockey Federation and FIFA. The Court also said, "BCCI must be free from any blemish if we allow it to decide". Highlighting the issue of elections, the Court posed a question, "Who should be allowed to contest? Can a person indicted by the Committee be allowed to contest the elections?" Reportedly, the Apex Court also suggested that action must be taken as per findings of Mudgal report. It also said, "We are not saying that there is a fraud in getting franchise but once you become a team owner then your interest in team and as a cricket administrator pull you in opposite directions." Highlighting the issue of conflict of interest, the Apex Court told Mr. Srinivasan, “You are a contractor (being CSK owner) and also head of a contracting party (BCCI)." Acknowledging the fact that cricket is as such very popular in the country, it said that the issue must be seen, keeping the perspective of cricket fans in mind, to whom the game is no less than a religion.